What Is Your Most Favorite Soft Drink? What Is Your Most Favorite Soda? Like the title said, what is your #1 favorite soda? If other, please list it. Mine has to be Cactus Cooler. Re: What Is Your Most Favorite Soft Drink? Coke. What the hell is Cactus Cooler? I remember somebody either asked me that or said something similar that you said in a youtube gaming live stream last night and i told them that Cactus Cooler is actually orange pineapple soda. Then i also said that now that i think about it, not sure why they called it cactus cooler. Maybe it has the cool chill feels to it like a cactus when you drink it. the youtube streamer lives in Canada, so maybe cactus cooler isn't available in his area. so maybe that's why he doesn't knows what it is. Another +1 for Coke here. Yeah, Cactus Cooler isn't available here on the East coast. Some snacks and soft drinks are regional. For example, the NY metro area where I live, people love their Mallomars and they only get released for a few months of the year and people go nuts for them. I bet you've never even heard of them, lol. Also, this is more of a NJ food, but NJ people take their pork roll very seriously. So much so there is a huge fight in my state on what to call it. About half the state thinks pork roll is called Taylor Ham, while the other half says its called pork roll. North Jersey calls it Taylor Ham and South Jersey calls it pork roll. Central Jersey it's a mix. You really know where in NJ you are when you're in a bagel shop and hear how people order their pork roll sandwiches. It's so popular it's not uncommon for Jersey transplants to stock up when they visit the state or have it shipped to them. Also, in case you're wondering what pork roll is, this is the proper way to eat it. Pork roll, egg and cheese on a bagel with salt, pepper, ketchup. this mallomars remind me of this chocolate cookies that my mom bought every once in a while but i can't remember the name. it has the similar look with chocolate on the outside and cream on the inside. i am not sure if pork roll is available in my area because i am vietnamese of chinese descend and my family rarely eat in american restaurants. i have a mild case of social anxiety disorder so i get nervous when i went to restaurants that i am not familiar with to order food. even the restaurants that i frequent go to, i am also a bit nervous but at least i know what food to order to eat. so i am not that familiar with american foods but according to pic that you posted, it looks like McMuffin sandwiches sold by McDonald. after looking at the pic, its kind of look different to your pork roll. the sandwiches' breads are different. according to how you call it pork roll, i suppose you live in southern part of new jersey. 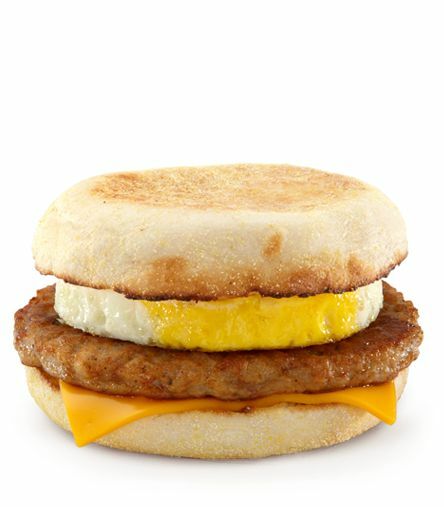 added: i just noticed the egg mcmuffin has different meat in it. this pic, it has sausage meat while some pics has ham in it i think. Pork roll is a processed pork product. And it's only really available in my state and some areas surrounding it. You will definitely not find it near you. oh okay. this pork roll must be very delicious. since you had pork roll frequently, how would you rate it? is it better than hot dog or hamburger? It's saltier than those. It's processed pork. I'd rate it very good but can't really compare it to a hotdog or a hamburger. i read a little bit of it from the link you posted. kind of interesting. since you mentioned jersey breakfast, is that your breakfast yesterday when you took that picture of pork roll? the food looks nice. assuming is was your picture. No. I remembered I posted that on another PlayStation forum like 2 years ago. Pulled the pic from there. I need to find a new bagelry near me. I'm just particular about my bagels and very fond of my bagelry where I used to live. doing all right. how are you btw jumpman? how is your job? i made you a birthday thread 5 months ago, hope you can visit it and chime in. Out of the ones in poll Id pick Coke overall sure. Never used to like Dr Pepper years back I like it now. No Cactus Cooler here in AUS (unless special import shops) Never tried but defo would. Another soft drink I dont mind is Irn Bru. Cant really describe the taste,its a flavour if its own really.